Gradle and equivalent build system experience. REST architecture and design; HTTP protocol. JDBC/SQL for both Oracle and HyperSQL (hsqldb). Java concurrency; understanding of low level threading API as well as java.util.concurrent API. 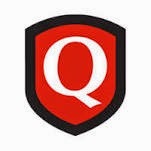 0 on: "Freshers Hiring for Software Engineer at "Qualys" in Pune "